RepairBug has been designed for mobile phone (cell phone) repair shops, by phone repair professionals. There is no other software designed by experts who work in the phone repair industry on a daily basis. RepairBug is a beautiful, carefully crafted software for phone repair professionals. It helps to organise repairs, automatically notifies customers, keeps your inventory organised, can handle warranty jobs, faulty items and so much more. 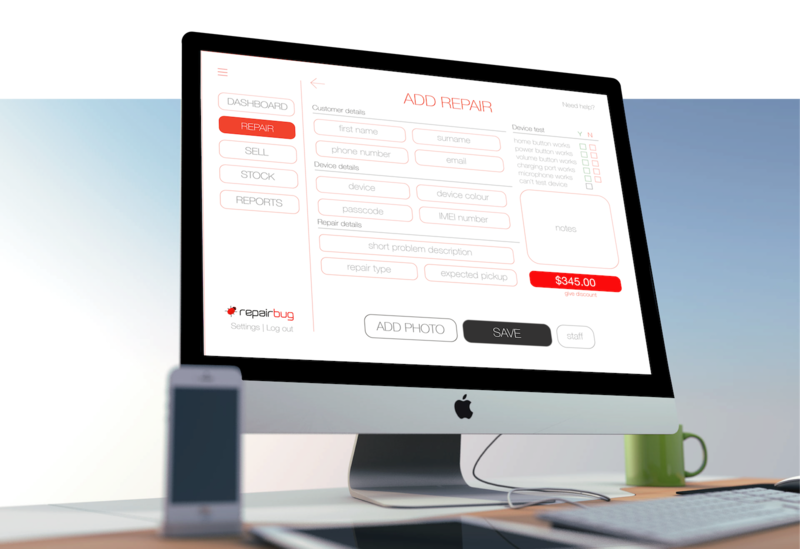 Repairbug is perfect for phone repairers on the go, for single shops, or for large phone repairer companies in a multi-store environment. RepairBug is not only helping phone repair businesses, but works perfectly for computer repair shops and other repair service providers. Casphone is committed to using the latest innovations and technologies. Since our company does more than 40,000 repairs a year, we need a software that can handle large customer base and a great number of phone and computer repair jobs. We had tried several different softwares before we started developing our own phone and computer repair software, called RepairBug. Because our in-house software developers are not only software developers, but also repair technicians, RepairBug is one of it's kinds. We know exactly what is going on in a busy repair shop. We know how to deal with customers, how to repair various smart devices, computers, and smart devices. This is what makes RepairBug unique and one of it's kind. No one else know better what a repair shop needs than us. We have carefully designed the software for everyday users. There are no unnecessary buttons, or confusing information on the screen. We use the software every day in repair shops busy shopping centres, so we know exactly what a repair business needs. Our developers have used the latest web and database technologies, that makes our software very robust and powerful. Our cell phone software is unique in many ways. RepairBug is happily running on anything. Windows PC, Apple Mac, Macbook, iPhone iPad or other iOS devices, android, linux, not a problem. RepairBug is absolutely platform independent. No internet in your shop, or your internet is not stable? Not a problem, RepairBug works offline as well. Or do you have more than one shops with stable internet connection? RepairBug works flawlessly in offline and offline environment as well. You internet is unstable? No worries! Repairbug will switch to offline mode when necessary. Repairbug is smart.